Overall, the design is far more rounded, and a whole heap more friendly. There’s slightly less weight, aided by slightly more contrast, which makes the logotype less aggressive. It is far less corporate, in the ironic manner in which many web-era corporate logos are less corporate. The ‘f’ appears to have the slightest of tweaks to its outer curve, but is otherwise unchanged. That is almost certainly a practical choice, given that modifying the ‘f’ would mean updating the familiar ‘f’ in a blue square logomark that is scattered across the Web. The biggest change is the switch from a double-storey, to a single-storey ‘a’. The change increases the counter space and does an excellent job of balancing the more spacious double ‘o’ on the right-hand side of the word. Lots of commentators have expressed a regret at the loss of the way in which the bar of old logo’s ‘f’ formed a connection with the stroke of the ‘a’; to me, that connection always seemed forced. This kind of linking is great when carefully worked — the Gillette logo is a prime example — but Facebook’s old logo felt like a designer looking for a connection for its own sake…on second thoughts, perhaps that was an ideal metaphor for Facebook. The terminals on the ‘c’ and ‘e’ are slanted, which is very much the trend right now. They also introduce more whitespace which helps even out the word. The addition of the stem on the ‘b’ improves the rhythm along the baseline by matching the stems on the ‘a’ and ‘k’ (stem, no stem, no stem, stem, no stem, no stem, stem). The left half of the design is perhaps tracked a little too tightly, but that may be a personal preference. Most importantly, the new version will be far more legible on small screens. As wearables enter the market, this is an essential rebrand for Facebook which will enable a consistent brand approach across the full range of devices. Which leads to the the biggest criticism, which is likely to be that the new logotype lacks personality. But really, isn’t that what Facebook wants? As our own personalities become personal brands [shudder] do we want a social network that envelops us in its own omni-presence? Don’t we want a social network’s brand to be the embodiment of invisible design? What Facebook needs, is a non-threatening, non-committal, non-partisan, bland, brand that can fade into the background along with the scarier parts of its terms and conditions. 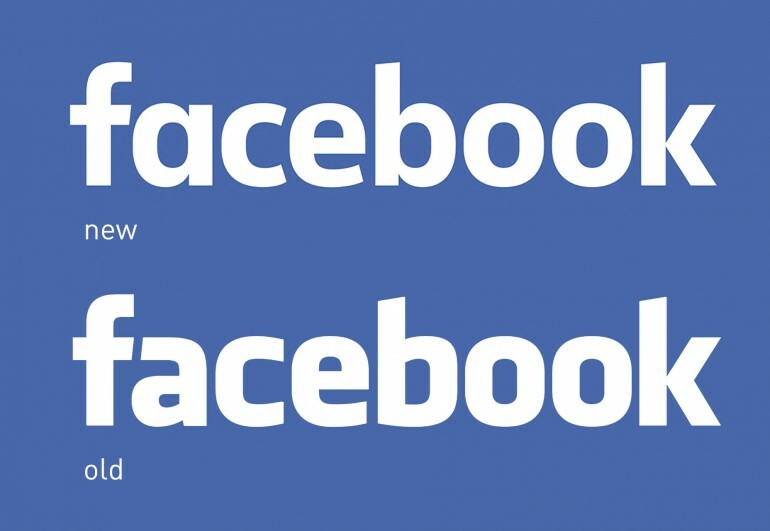 From a design point of view, Facebook’s new logotype may be uninspiring, but from a business point of view it makes perfect sense.